Some months ago I received as a gift (thanks, Brian!) a Moleskine notebook - essentially a pad of paper. Moleskines are the low-tech darlings of the blogosphere, and I wanted to know why. Having experienced a Moleskine for a few months, here's what I've found. 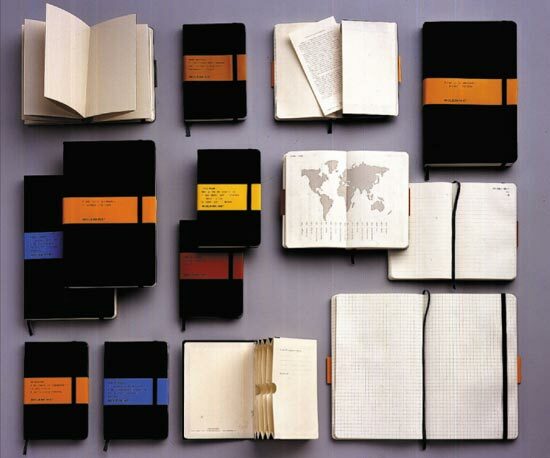 A Moleskine notebook contains all that is needed in a good journaling book - nothing more, nothing less. It has a hard cover, with an elastic band to keep it tightly shut, so that the pages don't crease as you carry it about. The first page contains blanks for you to enter your contact information and a reward amount. At the back are 16 perforated pages that you can tear out neatly when the need arises (as it inevitably will). There is also a pocket at the back in which you can place index cards, Google Maps printouts, and trinkets. Finally, the paper seems to be of good quality. Writing on it with my fountain pen produces a line neither blobby (as with absorptive papers), nor uneven (as with slightly oily or glossy papers). posted by Jonathan at 4/22/2007 09:08:00 a.m.